Fresh off another year of filming (this time for Videograss), and currently gearing up in Whistler for his “Send It with Session” at Camp of Champions, Rome SDS Pro Laurent-Nicolas Paquin will be on Twitter to answer all of your questions in real time this Friday, July 10th, from 3 pm to 5 pm Eastern Time (see time zone list below). You ask a question, he answers it. 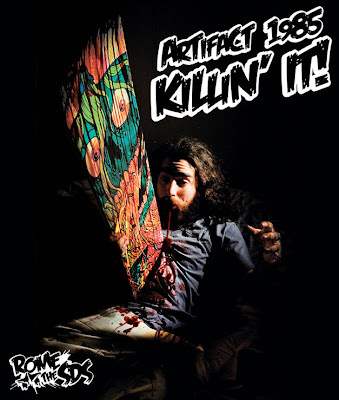 Then Rome will pick a winner at random and hook them up with one of LNP’s favorite boards—the Artifact 1985.